Hummus has become a hot food favourite in the UK. Whether you are just warming up to hummus or you have been a longtime fan, you just have to love how easy it is to prepare. It tastes delicious and uses wonderful ingredients with great nutritional value, including chickpeas, tahini and olive oil. Best of all, you can prepare it at home fast and enjoy the makings of lunch for two to four people in no time. While you can buy pre-made hummus in any restaurant and grocery store across the country, we recommend you make your own at home whenever you can. You don’t want to buy sour slurry seasoned hummus with lots of preservatives when you can make fresh and delicious hummus at home fast—and at half the price. 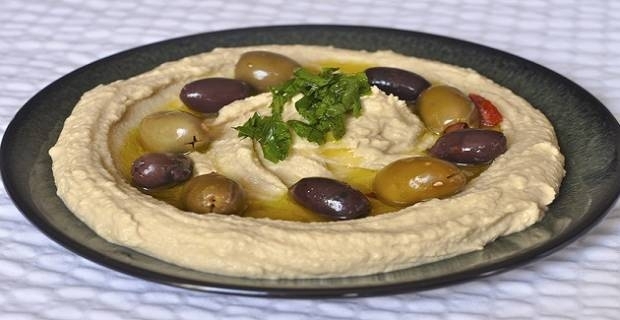 Here’s a quick recipe to prepare delicious hummus at home in under 30 minutes tops. Step 1: Drain and rinse the chickpeas with water to make them easier to digest and less gas-producing. Step 2: Empty the chickpeas into a food processor and add tahini, lemon juice and garlic. Step 3: Blend to a creamy purée for about five minutes. If you like the texture of your hummus course, reduce the time the processor is on. Step 4: Drizzle with olive oil while the processor is still running until you achieve the consistency you want. 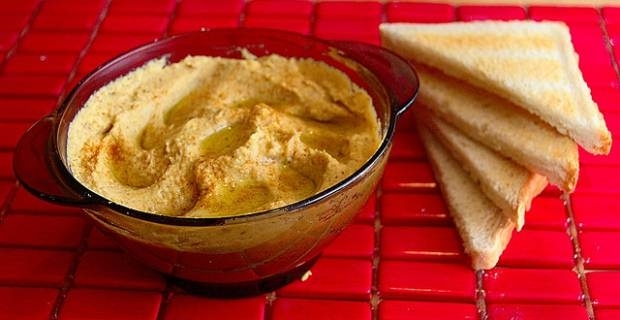 Be careful not to add too much olive oil as it will make your hummus sloppy. Step 5: Add salt and pepper to season. Taste a little and add some more if necessary to make sure the seasoning is just right. Step 6: Sprinkle over paprika as a garnish. Congratulation! Your homemade hummus is now ready for serving. Hummus serves well with warm pita bread. It can also serves well as a nutritious spread on sandwiches and wraps instead of mayonnaise. Fill a serving bowl or dinner plate with the hummus and surround the plate with your favourite raw veggies, such as cherry tomatoes, broccoli, sliced cucumber sugar snap peas or cauliflower florets. Eat with one or two others and enjoy more flavour with less fat.